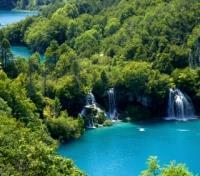 Witness the stunning blue waters of Croatia’s famed Plitvice Lakes National Park. Bike through Slovenia’s countryside along the banks of the Mur with a private guide. 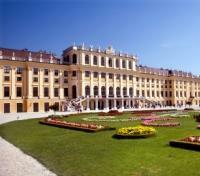 Take a fascinating guided city tour of Vienna, including a stop at Schönbrunn Palace. 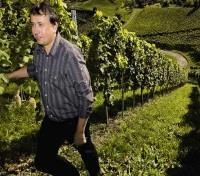 Sample Slovenia’s award-winning Dveri Pax wines at a tasting in Maribor. After centuries under the sway of the Austro-Hungarian Empire and decades under the influence of the Soviet Union, Central Europe has emerged from the shadow of toppled empires and stepped into the spotlight as one of the continent’s most fascinating and picturesque destinations. Blessed with a deep reserve of arresting landscapes, fairytale-like cities, captivating history, and an unhurried approach to life, just a few days spent in this part of the world quickly reveals why the Hapsburgs were so reluctant to give it up. On arrival into Vienna airport, you will be met by your driver and private vehicles. For your added comfort, your English speaking driver will help you to check in to your hotel on arrival, and walk you through the welcome package documents, your itinerary and answer your questions. Early check in can not be guaranteed unless an additional night is paid for, but if the hotel has rooms available, they will do their best to accommodate everyone. 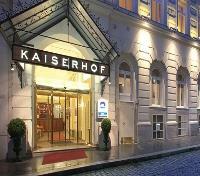 The Kaiserhof, part of the Best Western Premier brand, is centrally located on a quiet side street in the historic heart of Vienna. Here, you are only a short walk away from the Vienna State Opera, the Ringstraße, the Naschmarkt market, and the luxury shops of the Kärntner Straße and Ringstraßen Galerien mall. In their traditionally appointed rooms, you will experience the historic feeling of imperial Vienna to the fullest. The Kaiserhof’s harmonious blend of tradition and modern comfort is accompanied by a fresh, vibrant styling, while everywhere you look, you will be reminded of Vienna’s glorious history. Have a classic Viennese breakfast of Kipferl and coffee, or choose from among numerous other delicacies. Guests of the Keiserhof’s may make use of their private wellness facilities, which include a fitness room, steam bath, sauna, and a solarium. Today, you will spend an enjoyable 6 hours with a private tour guide, driver, and vehicle, exploring the city of Vienna. This tour will provide you with an overall impression of the most significant sights of the city. Along the Ringstrasse, admire numerous magnificent buildings, such as the MAK, the State Opera House, the Museum of Fine Arts, the Natural History Museum, the cultural district the Museums Quarter, the former Habsburg winter residence, the Hofburg, the Parliament, City Hall and the Burgtheater. The highlight of the tour will be a grand tour of as many as 40 rooms of the stunning Schonbrunn Palace, the former summer residence of the Habsburg family. Enjoy a full day excursion to the Wachau Valley, which is an Austrian region near the Danube River. During a romantic and scenic boat ride, the history and legends of the Danube come alive as you wind your way through charming old villages, steep vineyards, and castles. 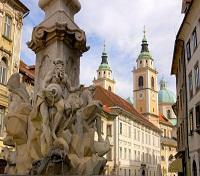 The heart of the Wachau is Krems, an old wine merchant town. You will also have the opportunity to visit Melk, the "Cradle of Austria," and the magnificent Benedictine Abbey, a pearl of Austrian Baroque. You may bring your own lunch or take the chance to try local cuisine at the Abbey restaurant in Melk. The tour finishes at the Opera House in Vienna. Entrance fees to the Melk Monastery and the boat ride are included. During the winter season, lunch is also included. Enjoy a private transfer from Vienna to Banovci, with a 1-hour stop for lunch en route. Your transfer includes private vehicle, English speaking driver, and lunch. The Sun House boutique hotel is an oasis, offering a break from the hustle and bustle of a chaotic world. The small and stylish boutique hotel is located in the very heart of authentic and natural riches of the Prekmurje region, in the small village of Banovci. Featuring elegant suites, that offers guests modern amenities and conveniences, as well as large balconies or terraces that feature spectacular panoramic views of the hilly surroundings. The Sauna and Spa Garden at the Sun House Banovci provides various wellness treatments and massages and features a bio sauna, a Finnish sauna, a relaxation room and an outdoor Jacuzzi and swimming pool. Enjoy the picturesque landscape and its never-ending views to the fullest on a prepare a cycling tour according to your wishes and physical abilities, as your guide will lead you through the beauties of Prekmurje region. Imagine yourself slowly paddling through the village, through the woods, peacefully becoming one with the enchantingly beautiful nature and the local people. Enjoy a private transfer from Banovci to Ljubljana via a wine tasting at Dveri Pax Winery, where an 800-year tradition of Benedictine wine making is kept alive. Here you will take part in a wine tasting and discover the superior quality of their award-winning Dveri-Pax wines. The winery uses the highest quality vines combined with knowledge, experience, tradition and modern innovations in wine production to create a variety of wines including Furmint, Welschriesling, Sauvignon, Riesling, Traminer, Pinot Gris, Yellow Muscat, Pinot Noir, Janez white and Benedict red. Continue to Ljubljana. Your transfer includes private vehicle, English speaking guide, wine tasting at Dveri Pax Winery, and lunch. Located in the heart of the city center, the historic Grand Union Hotel overlooks Prešeren Square, the Triple Bridge, and the Ljubljana Castle. The Art Nouveau styled hotel has played an important role in the political and social life of the capital; hosting many renowned politicians and famous guests including Bill Clinton, Dalai Lama, Queen Elizabeth and Orson Welles. Defined by the architectural and Art Nouveau style, each guest room offers comfort and elegance. The hotel offers top-class culinary experiences in renowned restaurants Atelje, the Union Garden, and the legendary Union Café, where guests can relax with a cup of coffee or tea accompanied by a varied offer of cakes and pastries in a historic setting. Other hotel facilities include an indoor swimming pool, a fitness center, and a sauna. Enjoy a walking city tour of Ljubljana and see some of the most significant sights of the old city center such as the picturesque Central open-air market and the Three Bridges, both designed by famous architect Joze Plecnik, as well as the Baroque Town Hall and Robba's Fountain. On your tour, you will also visit Ljubljana Castle and the Virtual Museum. Includes entrance fees to Virtual Museum, Ljubljana Castle Tower and cable car to castle. 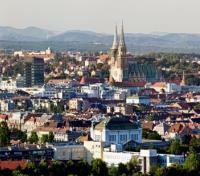 Enjoy a transfer from Ljubljana to Zagreb with a private vehicle and driver. 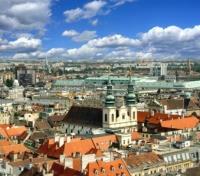 Meet your private guide at the hotel and depart on foot for a private walking tour of Zagreb. Croatia’s elegant capital is an eclectic mix of Central European architecture and unbeatable Mediterranean charm. It is a city of lush parks and avenues, grandiose edifices and quirky museums, everyday café culture and al fresco living. Enjoy the greenery of Zrinjevac Park, the haste in Ban Jelacic Square, and talk history in the twin medieval settlements of the Upper Town: secular Gradec and ecclesiastical Kaptol. Walk the Upper Town's cobblestone streets, spot medieval towers, the vivacious green market, as well as old houses and churches. Visit the Museum of Naïve Art, to see some unique 'outsider art' produced by Croatians over the years. Continue by funicular to the Lower Town, dominated by the impressive building of the Croatian National Theater. The neo-baroque edifice is surrounded by numerous Art Nouveau buildings that represent Croatian architecture of the end of the 19th and the beginning of the 20th century. After the city tour, meet your driver for a private transfer to a local family-owned restaurant which houses one of the biggest historic cookbook collections in this part of the Europe, including one the world's smallest cookbooks -'Wiener Kochbuch' dating from 1900 (a mere 0.7"x0.7"). After visiting this interesting museum, you'll be treated to a delightful meal prepared according to old fashioned recipes from the old cookbooks on hand, from the 17th through 19th century. After lunch, conclude with a transfer back to your hotel. Escape to the Hotel Astoria, part of the Best Western Premier brand, and experience the ultimate in comfort and service accommodating all travelers. Built in 1932, this Croatian hotel is centrally located in the charming capitol of Zagreb and offers guests a quiet, peaceful atmosphere and warm personalized service. 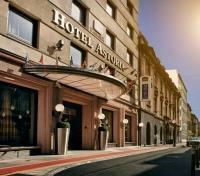 The hotel is a short distance from the historic city centre, featuring Jelacic Square and the Cathedral of Zagreb. The hotel's restaurant provides guests with fine dining and an exquisite complimentary buffet breakfast every morning. Zagreb also hosts a variety of events year-round for visitors to enjoy such as Zagreb Fair, Musical Summer, and Zagreb World Theatre Festival. This morning meet your private driver for a 2-hour transfer to Plitvice Lakes, the most famous National Park in Croatia, and designated UNESCO World Natural Heritage. On arrival at Plitvice, you'll meet up with a local guide for a private tour of this serene natural marvel. The beauty of the National Park lies in its sixteen lakes, inter-connected by a series of waterfalls, and set in deep woodland populated by deer, bears, wolves, boars and rare bird species. The lakes are renowned for their distinctive colors, ranging from azure to green, grey or blue, with the colors changing constantly depending on the quantity of minerals or organisms in the water and the angle of sunlight. The waters flowing over the limestone and chalk have, over thousands of years, deposited travertine barriers, creating natural dams which in turn have created a series of beautiful lakes, caves and waterfalls. Discover the mesmerizing ever-changing landscape – created by water, gravity, limestone and time – in this unique park of nature. The watery wonderland will seduce you and you will never want to leave. Your guide will take you through the park by a well-laid out system of wooden walkways that allow you to experience the best of your visit. There are different walking paths – the easier ones and the more demanding ones – so you can choose a path that best suits you. Conclude your day with a transfer back to Split with your private driver. 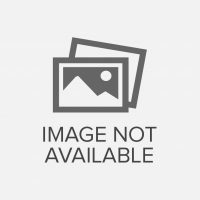 Enjoy the private airport transfer with vehicle and driver.